The rise of big data – the ability to gather massive amounts of information about both environment and operations – rests on the assumption that having more data gives organizations better control and the ability to avoid nasty surprises. It doesn’t. 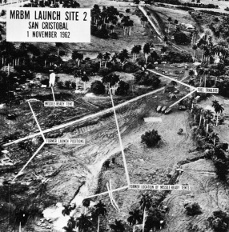 To understand why, consider the Cuba missile crisis that started exactly 50 years ago today. Read more on our latest Forbes piece here. For regular updates, why not subscribe to our blog? This entry was posted in Our work featured and tagged Big data, CIA, competitive intelligence, Cuba missile crisis, Forbes, strategic surprise. Bookmark the permalink. A BOW FOR JONES PHILIPPE AND MILO. A Story about the Power of Questions. To bow or not to bow……….? ”You can eat an apple”, I said and gave him the green fruit. It was as if he had seen an apple for the first time. First he just held it there and smelled it, but then he took a little bite. ”Mum – mum”, he said and took a bigger bite. ”Did it taste good?” I asked. ”Why do you bow?” I asked. Mika bowed again. It made me feel so confused, that I hurried to ask the question again. Now it was him who became confused. I think he did not know if he should bow again or just answer. That was the strangest thing I had heard in a long time. I could not understand that a question was something to bow for. ”We always try to find something wise to ask?” he said. ”We try to ask a wise question to get the other person to bow”. I was so impressed by the answer that I bowed as deeply as I could. When I looked up Mika had put his finger in his mouth. After a long time he took it out. ”Why did you bow?” he asked and looked insulted. ”Because you answered my question so wisely,” I said. I nodded briefly. But I regretted it at once, because now Mika may think that I bowed to the answer he had just given. Those words were so wise, I thought, that I had to press my hands against my chin not to bow again……..